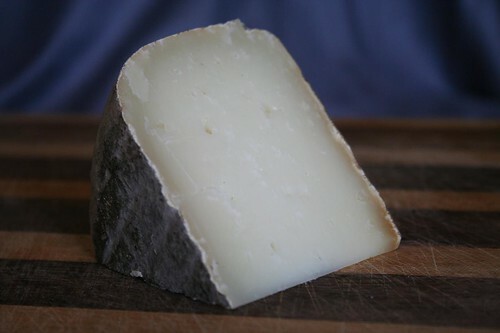 Garrotxa is a lovely blue-gray round of aged goats’ milk cheese from the Catalan region of Spain. 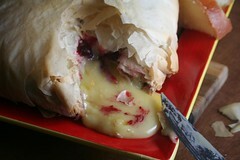 It is mild, creamy yet flaky with a very subtle herbal flavor and mushroom aroma. 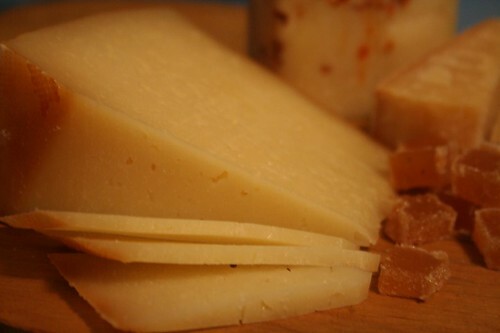 It is similar in flavor to manchego, though without manchego’s oiliness. The paste is pure white, making it difficult to capture in its glamour shot! Garrotxa is delightful on its own, and would be great shaved over a simple green salad or even pasta. 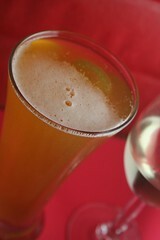 Artisanal suggests pairing it with champagne, and of course it would go well with Spanish cava or tempranilla. Read more about the Catalan food scene at the Humble Gourmand. I love a good manchego, but my recent go-to cheese for entertaining guests (particularly those with timid palates) is a Spanish Idiazabal. A sheep’s milk cheese that is lightly smoked for 1o days, it is firm, oily (in a good way) and flavorful without being overpowering. It hails from the Basque region and Artisanal Cheese recommends pairing with a full-bodied red wine from Navarra, which, coincidentally, is a budget-friendly choice as well. Because I was tasting bargain bubblies, and served this before our Hanukkah dinner, I sampled it with the Tarantas cava which was fruity enough to bring out the subtle smoky, grassy flavor of the cheese. My favorite chef Jose Andres includes a recipe for rosemary-marinated Idiazabal in his book Tapas: A Taste of Spain in America. I have not yet tried Lima here in D.C., but they include Idiazabal on their Spanish cheese plate. We know budgets are tight these days, and gourmet cheeses can really make your grocery tab add up quickly. Here are a couple ways to incorporate cheese in your holiday feasts and still have enough money for the Hanukkah brisket, Christmas goose or whatever else is on your menu! Pick a “showcase” cheese. Odds are you’re serving enough other food for people to fill up on, so you don’t really need to have multiple cheeses. Pick one high quality cheese, centered among spiced nuts and other accompaniments, and pair with a beverage, for a stand-out start or finish to the meal. Try Cypress Grove’s Truffle Tremor paired with a California sparkling wine for a first course, or a wedge of Parmigiano Reggiano and spiced hot cider for an after dinner treat. Make cheese a star ingredient. Baked brie – with seasonal cranberry sauce or fig preserves – stretches your cheese dollars and is sure to please a crowd. Or try blue cheese-filled endives, topped with pomegranate seeds (a la Eric Ripert) for festive little bites of cheese. Look for budget-friendly cheeses. You don’t have to get the most expensive triple-creme cheese from France to wow your family and friends. Look for heartier favorites like a Dutch gouda or aged Irish cheddar – or look for domestic brands, like Cabot/Jasper Hill (Vermont) or Carr Valley (Wisconsin). Tillamook‘s vintage white extra sharp cheddar (Oregon) is a budget-friendly family favorite. A mild, hard cheese like cheddar and gouda will hold up well to a variety of foods and beverages as part of the holiday meal. 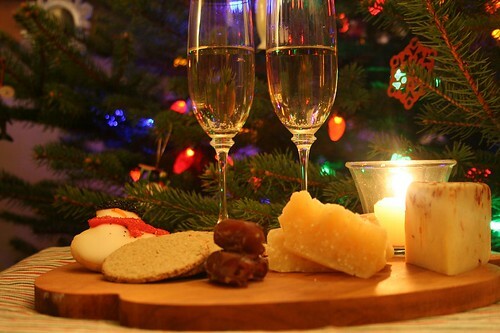 Hope your holidays are cheese-filled and merry! Our New Year’s Eve Spanish sampler featured Gramona Gran Cuvee Cava (2003), two Spanish cheeses, drunken goat and mahon (cow’s milk aged in olive oil and paprika), lomo (cured pork), and roasted almonds. The Gramona is one of the few remaining family-owned estates producing cava in the Penedes region. Gramona cavas are aged significantly longer than most cavas, 30 months for the Gran Cuvee, producing a delightful, flavorful bubbly. 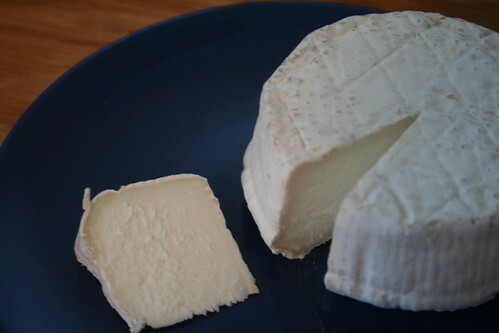 The drunken goat is a semi-hard cheese aged in red wine (Doble Pasta) and is creamy and rich – make sure to let it sit at room temperature for at least one hour, preferably two. Mahon is a firmer, chewier cheese with a richness and lovely orange hue from the paprika. Salty lomo and almonds were perfect complements.